I replace the original tires on my Honda Element about three years ago (can't remember what they were), and have been running with the Michelin XC LT4's since then. I remember being worried that there was something about the Element that was causing the tires to wear fast, but it turns out that it was just the tires that were sold with the vehicle. I must have about 45,000+ miles on these and I'm sure I have many miles left. I have the tires rotated every 5-7 thousand miles and have had my alignment done once. The tires are wearing evenly and are nice an quite on the road. 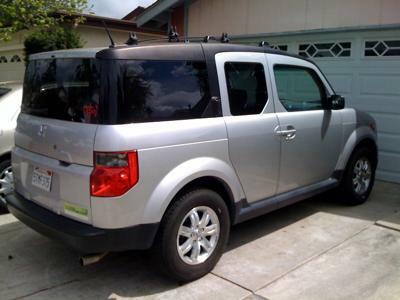 Of course, the Honda Element isn't known for it's quiet ride anyway. One thing I notice is that they chirp a little when accelerating quickly from a stop. I'm curious to know if other people have experienced this with these tires or if it's an Element thing. Nevertheless I'm very happy with these tires. I have learned my lesson and will never buy some cheap discount tires in the future. It pays to get tires that really last.